this pasta is similar to plane pasta recipe posted earlier. only difference is it uses one egg because of the moisture it gets from beetroot juice . 1. Boil 1 cup of water , make flame to low and add washed beetroot into the boiling water . boil it for 1 minute . 2 . Take out beetroot hot from the water and wash beetroot with ice cold water immedietly.this makes it retain its beautiful colour. 3. 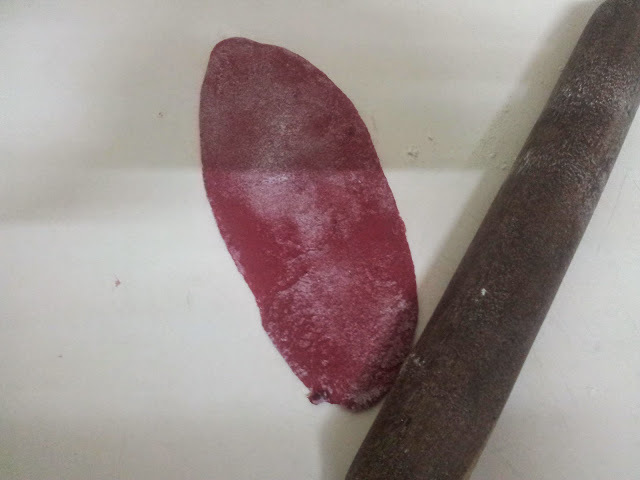 Peel the skin and make small pieces enough to grind and make smooth paste. note :do not add water. 4. 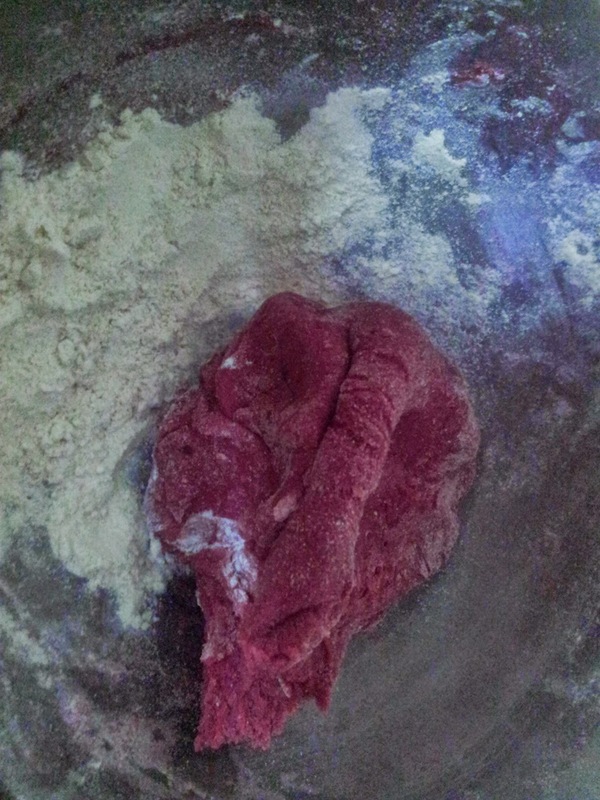 Take flour, salt ,egg and beetroot paste into a bowl and knead it to make dough . if you feel moisture is much add bit of more flour. 5. Let it rest for 1 hour . 6. Divide the dough into 8 portions . 7. 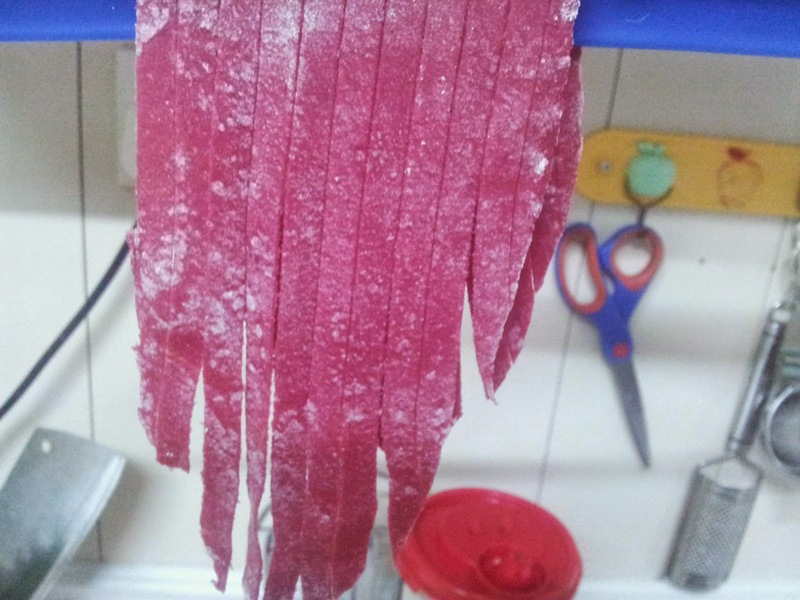 Dust surface and roll into long flat dough about 15-20 inches depending upon how thin you want your pasta . or use pasta maker. 8. 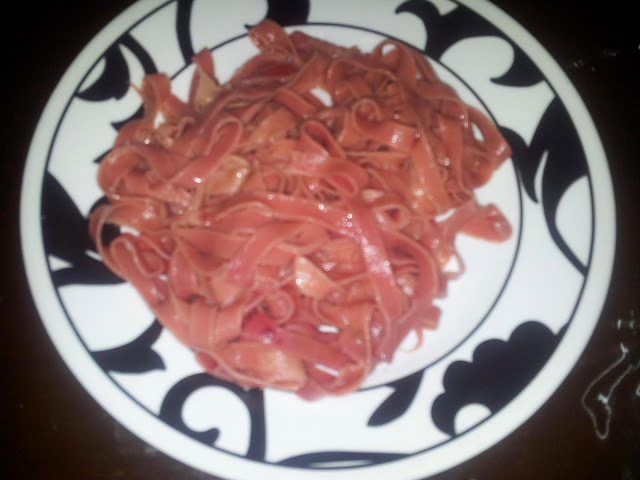 Cut them into thin strips or use pasta maker. 9. Dry them overnight to get best results in retaining colour of pasta. or you can immedietly put them into boiling water and cook for 2 minutes . the more you boil it will loose its colour . 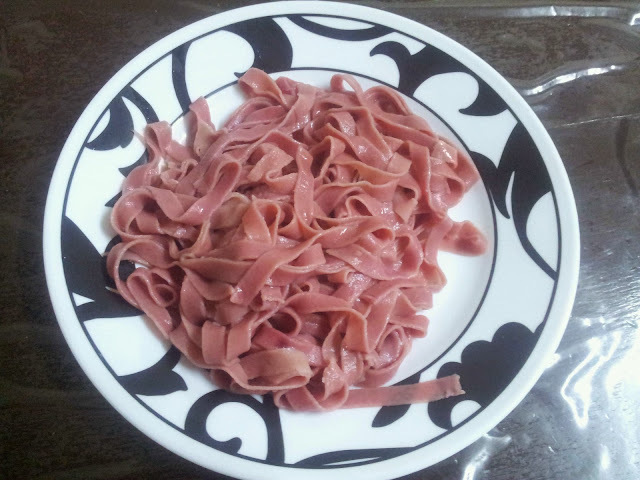 I cooked pasta immedietly in the picture and not kept it overnight .